Suzanne Kovitz is the author of Enemy Self. 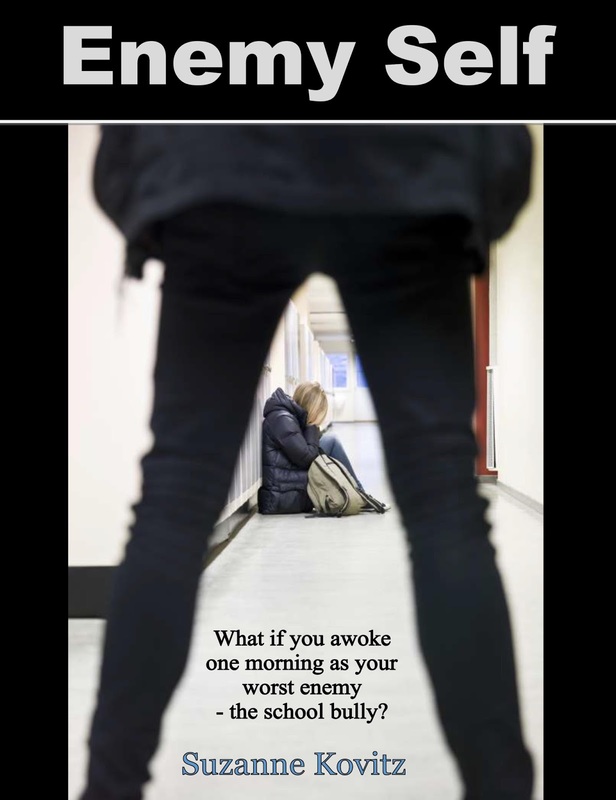 Enemy Self is about a high school bully who switches bodies with her victim. April 9, 2008 Baltimore art teacher, Jolita Berry, was attacked by her student and placed on Myspace. January 2010 Phoebe Prince of Massachutsetts hung herself after relentless bullying. April 27, 2010 8-year-old Shaniya Boyd of Gilmore Elementary, Baltimore, attempted to jump a school window after being attacked in school because she has celebral palsy. In the eyes of a student, school is often perceived as one long prison sentence, and in some cases, total anarchy -- mob rule. How can anyone obtain a proper education in such a disruptive environment: drugs, gangs, fear, peer pressure, fights, bullying, etc? Once the innocent become victims of harassment, they are instructed by their parents to report the incident to the teacher. The “tattler” then gets beaten up for doing so. The results, the victim learns to silently tolerate constant abuse or leaves them no choice but to fight. The “system” is losing control over its ability to educate. It has become a see-how-much-I-can-get away-with game. The joke is on us, the tax payer, the community. Who has control over the system, the faculty or the students? We hear the catch phrase, “Dumbing down of America”. If this is not true, then why do consecutive generations push the envelope on “coolness”? The culture has shifted from a rebel without a cause image of James Dean, with a black leather jacket and cigarette of the 1950s to the mean-and-creepy Hip-Hop generation. Shock value fashion has youngsters loaded with body art and piercings in crude places, not to mention baggy droopy-drawers partially mooning passers by. The frayed/slashed holes in denim jeans add a final touch as if a homeless drunk just left a bar fight in a horror movie. The point is, how can our young people possibly acquire self respect dressed this way? Instead, they’ve earned an “I-don’t-give-a-sh.. attitude”. Our kids are not aspiring; they are expiring. The question begs, what is happening to our young people? It all begins with teasing and harassing. This juvenile behavior has always been justified away as “kids are cruel,” which means it is acceptable to be cruel because kids are kids. These instigators turn into bullies. Since “kids are cruel” we should allow their misbehaviors go unpunished into adulthood facing no consequences for their wrong doings? What messages are we sending our young people? Studies have shown that violence in the media does desensitize the minds of our children. Naturally, young people learn by imitating behavior. Many say the parents are responsible for disciplining their own children. But do they? Most caretakers work full-time, many of which are struggling single parents, while others are more or less children themselves. Can we really trust parents to be a positive role model to teach respect and integrity? If all parents were responsible to discipline their own children, there would be no need for school intervention. We can’t spank them anymore. The nation has become so sensitive to the issues of child abuse that these accusations are being used against us. If an adult lays a hand on a misbehaving child to discipline, they are charged with child abuse. Kids know the laws and use abuse as a weapon to protect themselves from being punished by adult figures. Students should feel enthusiastic about going to school, not in fear. Folks, this is the 21st century. These children are the future of this country! If we are going to grow as a nation, we need to teach our children toleration and acceptance of others regardless who they are: gay, sick, slow, unattractive, eccentric, awkward, etc. Everyone, regardless their ethnic background, religious affiliation, status, or weaknesses has special qualities that need to be cultivated to make a contribution to this wonderful world. There is no such thing as a perfect person. Education needs to be reexamined to bring about meaning into a child’s imaginative world. The system needs to inculcate team building skills into student’s thinking, not nit-picking. Youngsters should be taught independent thinking, as well as critical thinking, questioning their own values and environment instead of blindly accepting it. Appreciation of humanities, especially differences in others must be stressed from preschool on up. Education should be thought of as friendly, fun, and purposeful. Do not overlook that children are emotionally immature. Children need to be taught toleration of differences in others, learn how to respect each other, and learn how to earn respect and trust from others. Do not assume they already know these basic principles of humanity. Let’s get back on track, shall we? Please join me at the Hunt Valley Towne Centre Greetings & Readings on Saturday, March 5, 2016 from 1-2:30 pm. I will offer my debut paperback, "Enemy Self" for $14.99. It is a cross-genre young adult psychological thriller/sci-fi/fantasy novel. The high bully switches bodies with her victim. This is my debut novel of 2016. A psychological thriller. 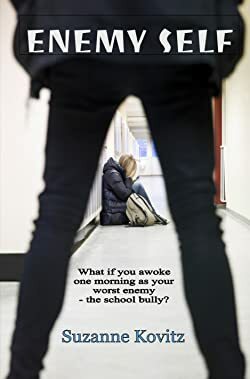 What if you woke up one morning as your worst enemy - the school bully? You're now stuck in the body of your enemy and stuck in her life! She's now you and you are now her. You've been body swapped. She feigns innocence. You're on your own throughout this journey. You now have a drug addiction, an abusive father who once sexually assaulted you and pothead friends. Without her help, how do you find a way out of this crisis? Oddly, I heard giggles right in front of me. I recalled turning the television off. Momentarily I glimpsed above the newspaper, then returned to my depression. Again, I heard giggles. I lowered the newspaper only slightly to witness the unbelievable. A young guest was sitting at the table across from me. I shrieked, nearly falling off my chair then jumped backed -- standing in shock! “What? How did you…?” my mind raced about as I was trying to make sense of nonsense, but I fell short. She looked just like me when I was young. The little freckled-faced kid stopped giggling. She watched me with uncertainty, lowering her head, as if she were about to be scolded for doing something wrong. The child was hugging a teddy bear. I asked her how she got into my apartment and, more importantly, who she was. The child said, “You”. Was this some sort of practical joke? “Missy, what’s your name, dear?” I asked for clarity. “Leah Jones.” The child sheepishly responded. “That’s my name,” I corrected. I noticed her two bottom baby teeth were missing from that adorable face. Her brunette hair was clipped back. And what’s the chances, she wore a blue Garfield sweater! Through all my sadness and swollen eyes, I couldn’t help but smile. The child stared at me while sucking her thumb. I gazed into her sparkly baby blue eyes. Amazing, I said under my breath. The fixed stare was rudely interrupted by a tapping of a wine glass. I freaked out as an elderly woman with a hunchback appeared on the other side of the kitchen table, slouched over on her chair. “Don’t say it! Let me guess, you’re the older version of me, right, Leah?” I cleared my throat looking at the emaciated version of myself, that I will eventually morph into. “You visiting ghosts are something else, aren’t you, showing up like out of a puff of smoke.” I had a thousand questions and thoughts surface my mind, some spooky, others enlightened. “If that’s the way you wish to see it,” the lady acquiesced. The thin white-haired elderly sipped on her wine, relaxing peacefully, as I would routinely do during morning breakfast. Please visit kdp.amazon.com/self-publishing. 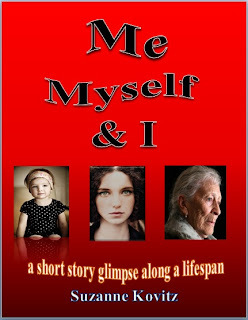 Uploaded new short story: Me, Myself & I.